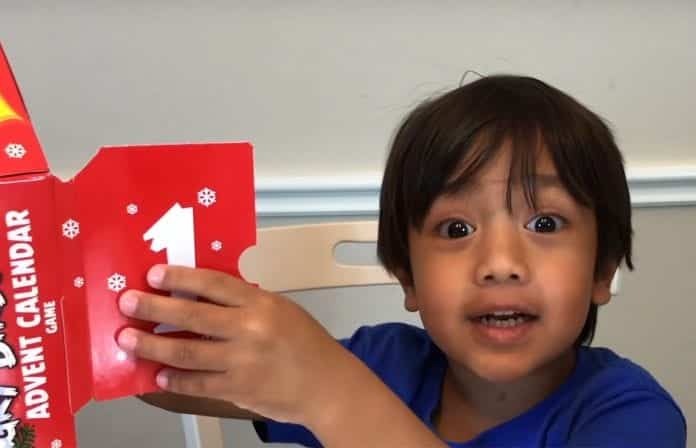 According to Forbes’ annual list of highest-earning YouTube celebrities, “Ryan ToysReview” channel fetched the host ‘Ryan’ about $11 million between June 1, 2016 and June 1, 2017 before management fees and taxes, of course. This earning saw him get the eight position on the Forbes’ list, which he shares with Anthony Padilla and Ian Hecox, of the popular comedy channel, Smosh. The family’s channel, Ryan ToysReview, was created in March 2015. It initially didn’t get many views but started going viral within four months after they released a video in July 2015 titled “100+ cars toys GIANT EGG SURPRISE OPENING Disney Pixar Lightning McQueen kids video Ryan ToysReview“. As of December 2017, this video has more than 800 million views. Further, another video that shows Ryan running through an inflatable Cars water slide posted in April 2016 has earned him more than a billion views. The adorable YouTuber has over 10 million subscribers and his videos have been viewed more than 16 billion times. The videos normally feature him playing games with his family and being surprised with toys. Also, the videos feature sincere and enthusiastic commentary from Ryan with off-camera guidance from his parents. According to The Verge, Ryan’s channel viewership converts to around $1 million a month in advertising revenue alone.